As an American pop-artist with a large Latin following, RJ Word is quickly rising to the top of full-fledged international stardom. Growing up in the heart of the entertainment industry, Los Angeles, RJ developed a passion for singing and songwriting early on, kicking off his music career by age 10 performing on stage in musical theater productions. During this time, RJ began developing his own sound with the help of renowned voice coach Roger Love (Michael Jackson, John Mayer, Demi Lovato, Maroon 5). He has since honed his craft for over a decade as a singer, songwriter and producer. Now, at 21 years old, RJ’s stage acts have advanced to performing to his own handful of hit original singles to audiences by the thousands, while his fanbase consists of over a million fans worldwide. RJ’s international acclaim stems from his uniquely curated sound and goal to produce music that branches outside of the status quo. He’s released hit after hit, including “Here Today” which premiered on NBC Universo, “I’m Gone” which garnered millions of views and high praise for the dance skillset he showcased within his music video, and “Hold Tight” which topped charts in over 14 countries. His worldwide fanbase has led him to perform around the globe – including 93Q Summer Jam 2018 in NY (alongside Rita Ora, ROZES, etc. ), Navi Fest 2016 at Arena Monterrey, Mexico, EXA Festival in Puebla, Mexico, and House of Exile 2017 in NYC. With RJ’s versatile talent and massive global fanbase, headlining names in the music industry today have been quick to take note and eager to collaborate with him. Most recently, RJ was featured alongside Pitbull and Rich The Kid on Juan Magan’s new Latin-pop single “Echa Pa’ Acá” (August 2018), with an accompanying animated music video. Upon release, the track soared across Spotify ‘New Music Friday’ playlists worldwide and the Apple Music charts. 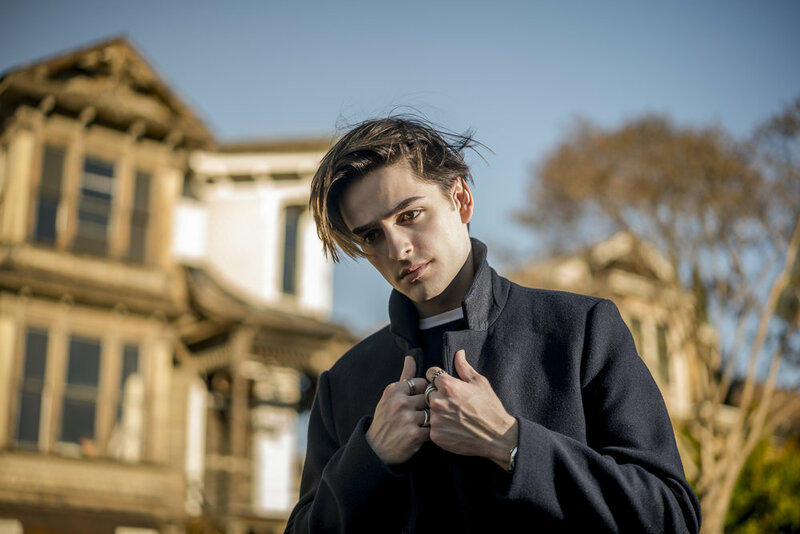 RJ’s latest original single “What You Need” and accompanying music video (April 2018) showcase his ability to seamlessly transition from genre to genre. The funk-inspired dance anthem is brought to life by live horns, and carried by RJ’s lyrics and falsetto-laced melodies that truly make it a smash hit. The music video, which has since garnered millions of views, highlights the brass backing while showing that RJ’s moves are nearly as smooth as his silky vocals. With this single, and many more to come from the young recording artist, RJ continues to break through the mold of monotonous tracks that dominate radio airplay today and shape the future of music. RJ Word Shop is now open! RJ Word announced the launch of his new clothing and merchandise line for all his fans worldwide. LOS ANGELES, CA, June 1st, 2016 -- The latest musical offering from rising 18 year-old singer and songwriter RJ Word alludes to a sensational experience in the video for his single, "I'm Gone." With captivating production that compliments his distinctive voice, the new music video to the hit single has quickly gained interest in the music world, with RJ's video achieving over a million views on YouTube. The song "I'm Gone," was co-produced with Grammy-winning La Clique music. The music video features several captivating scenes driven by the charismatic performance of RJ Word. It is available now online. Discovered by acclaimed voice coach Roger Love in the 6th grade and inspired by his love for music and storytelling, RJ's latest release is a creative production that reflects his overall musical style. RJ has been singing from childhood in various school productions. Initially in the background, he quickly moved center stage with leading roles in several musical theatre productions including "Pippin," "Pajama Game" and "Thoroughly Modern Millie." RJ then shifted focus to finding his own voice and crafting the musical sound to accompany it. Since then, he has spent years refining his talents and fueling his love for performance. RJ is a multi-faceted artist with experience in performing, songwriting and musical production. A graduate of the Los Angeles County High School for the Arts, he delivers each song with palpable power. His recordings testify to his dynamic sound styling and distinctive voice, appealing largely to the contemporary audience. His creative style seamlessly melds R&B with a fresh EDM sound. One fan said, "It's music from the heart that hits you right between the eyes."